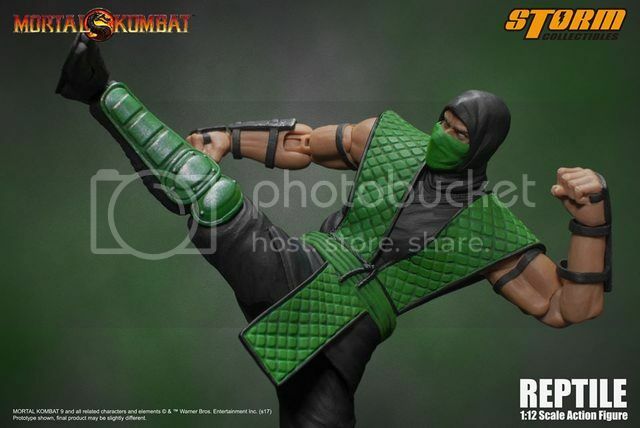 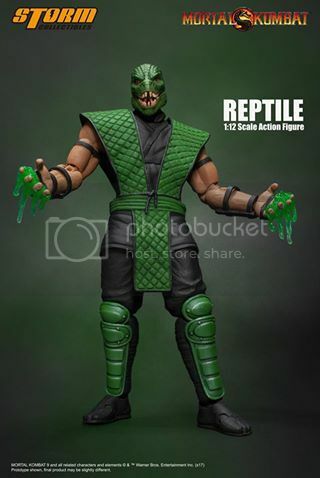 Dr Jengo's World: Storm Collectibles announce Reptile 1/12 PreOrders.. and Bloody versions? 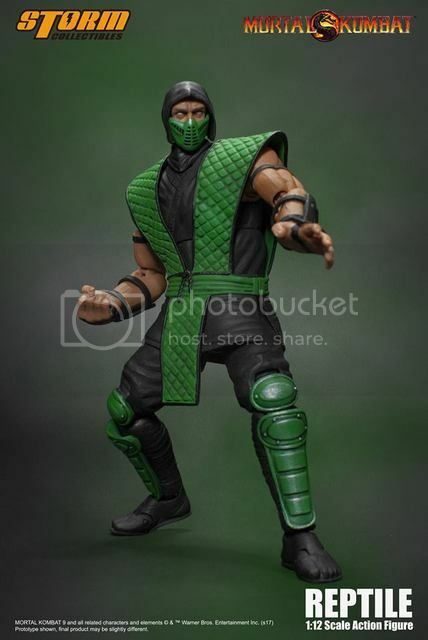 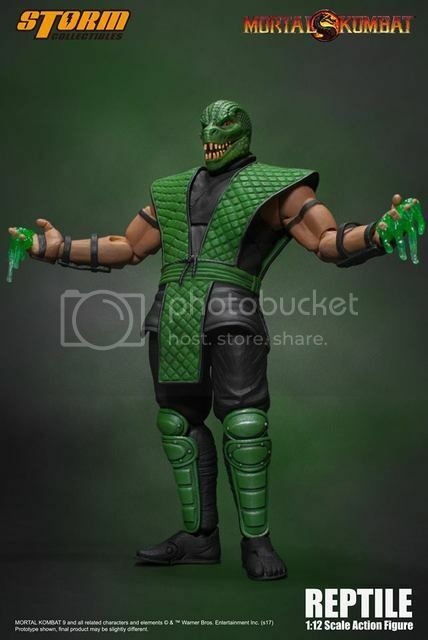 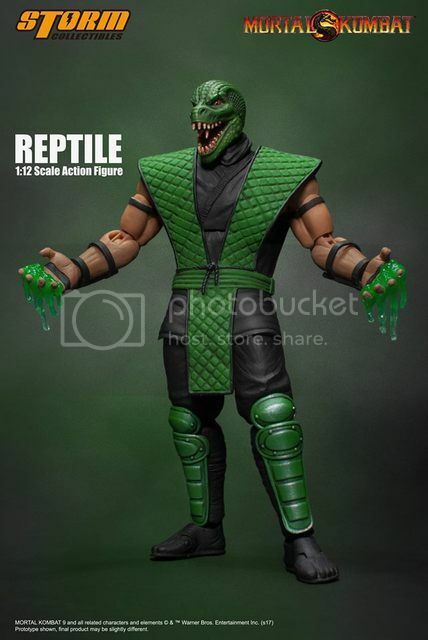 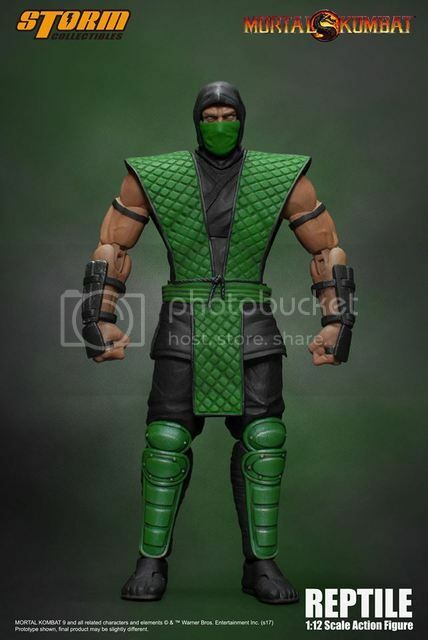 Storm Collectibles announce Reptile 1/12 PreOrders.. and Bloody versions? 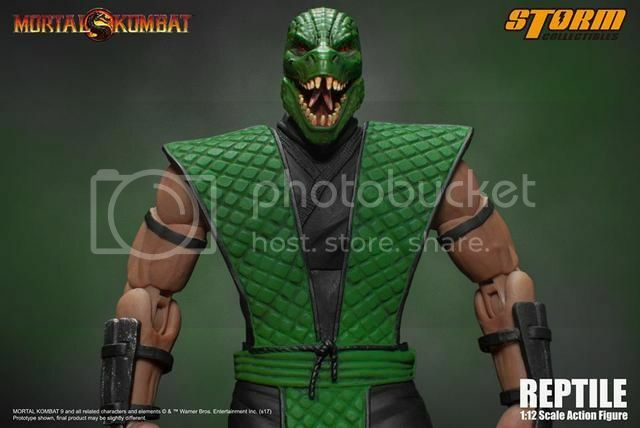 Just recently, Storm Collectibles previewed their Reptile 1/12 figure at Toy Fair 2017 and now it has been officially announced and open for pre-orders. 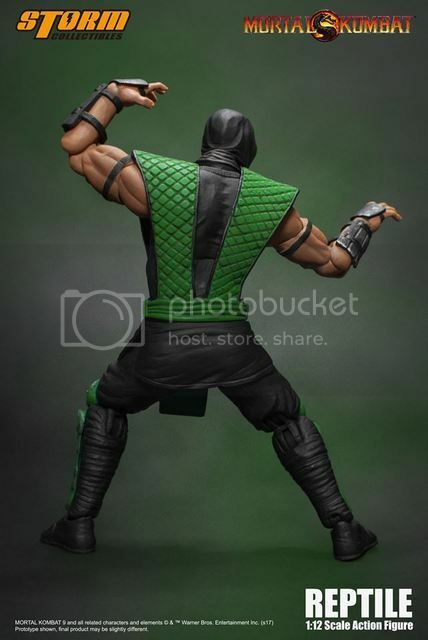 Enjoy the pics.. More details at the end.. 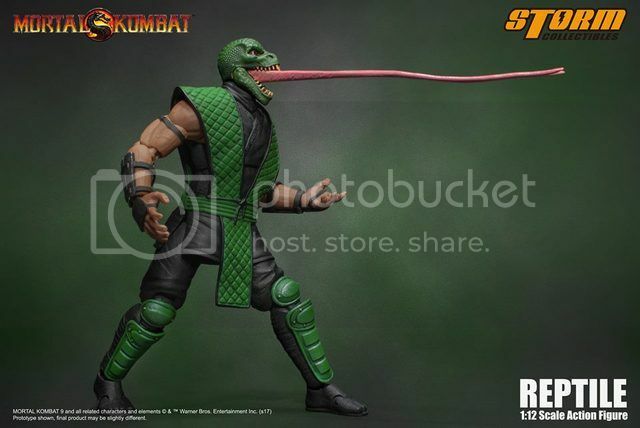 The reptilian head looks really good and so does the tongue.. That's definitely going to make for some fun displays and photo shots. 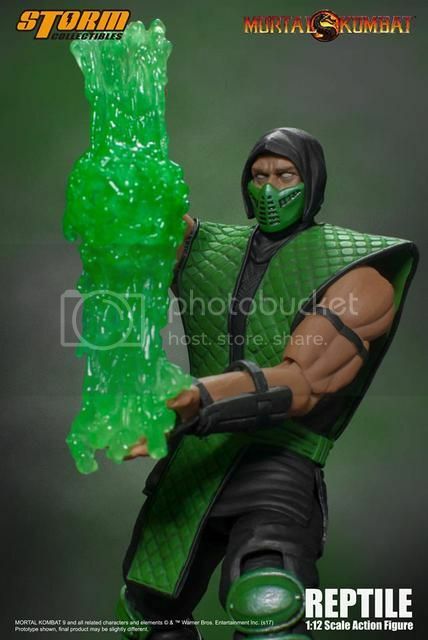 The acid force ball looks like an absolute gooey mess! 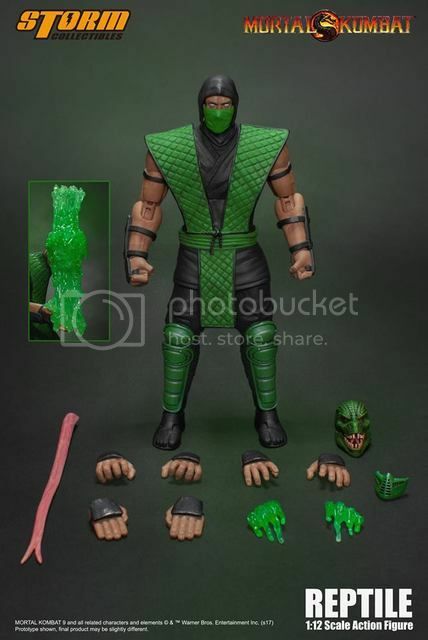 Here's all the accessories the figure comes with..
Will be pre-ordering this but I wanted that Shao Kahn first! 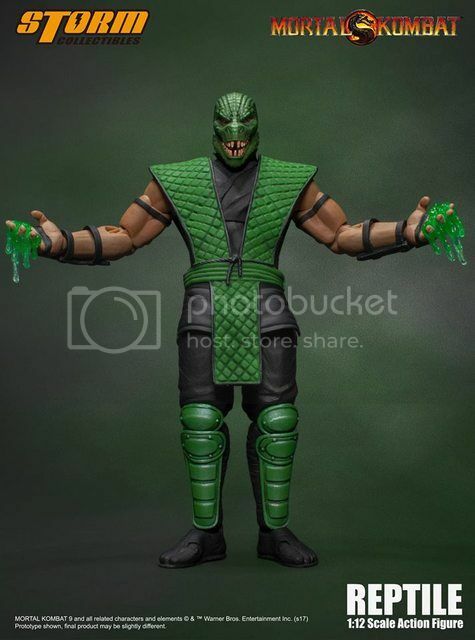 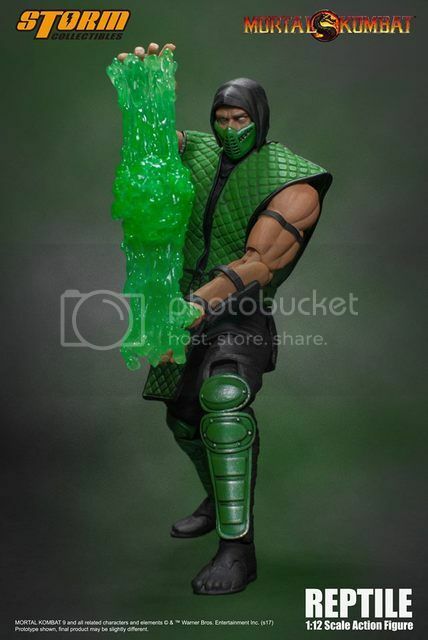 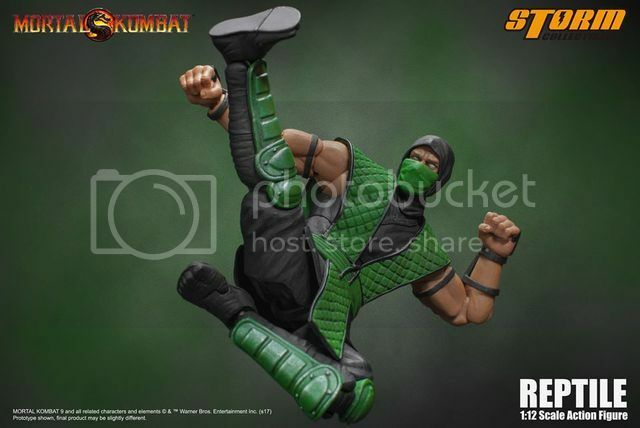 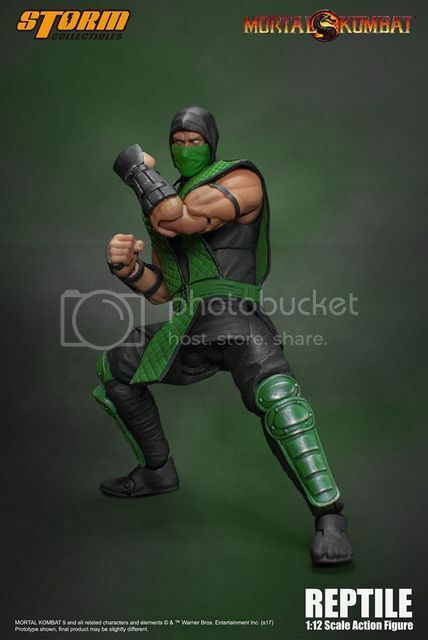 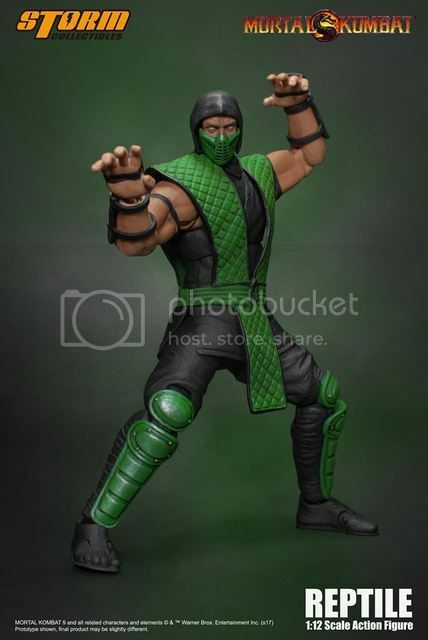 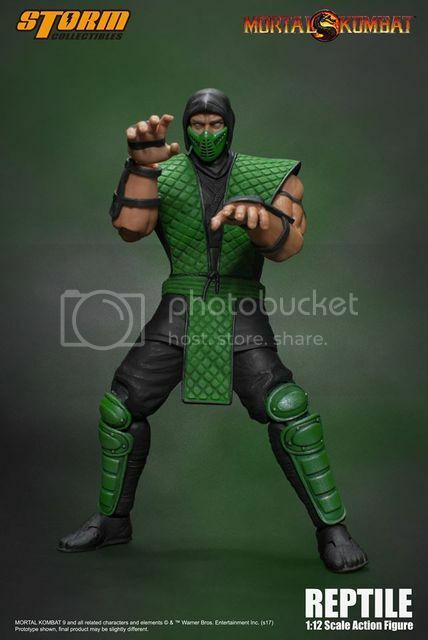 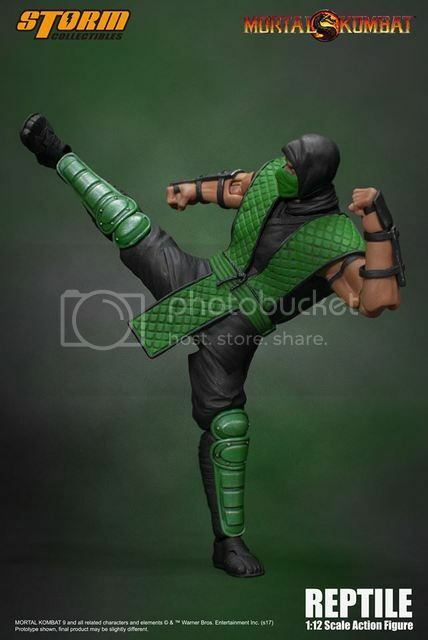 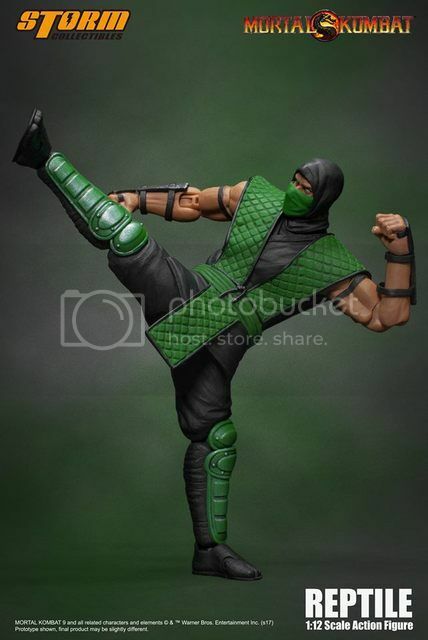 It looks like I will have to wait a while more though..
Entertainment Earth has two listings up for a Limited Edition Bloody Scorpion 1/12 figure & a Sub-Zero figure. 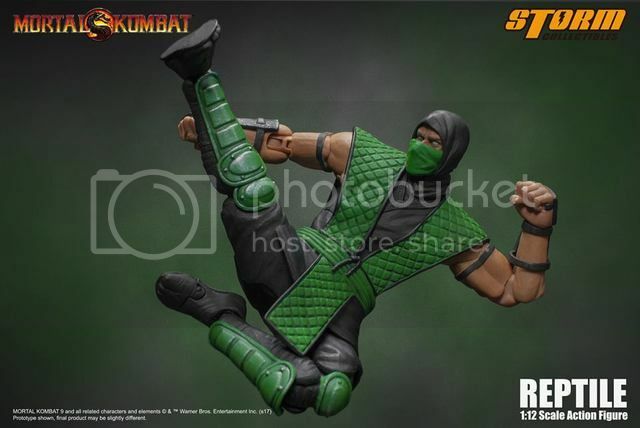 No pics uploaded and I haven't heard anything about this from Storm Collectibles either. 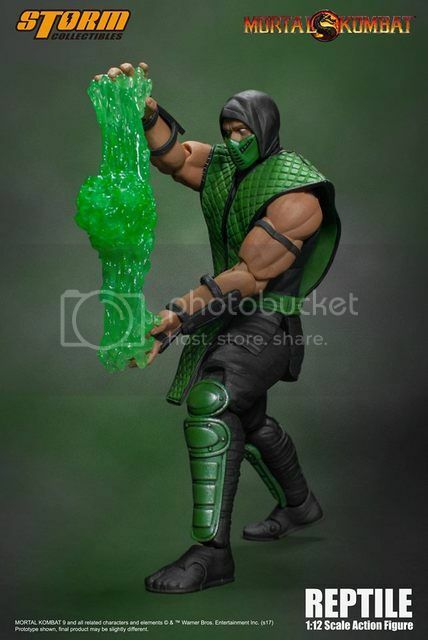 From the sound of it, it will be a similar figure with some blood effects. 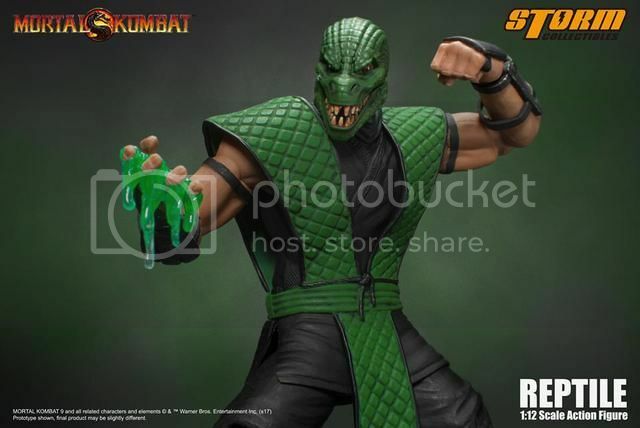 Well, it's deja vu all over again as we get bloody variants of the same characters as they try to milk collectors. 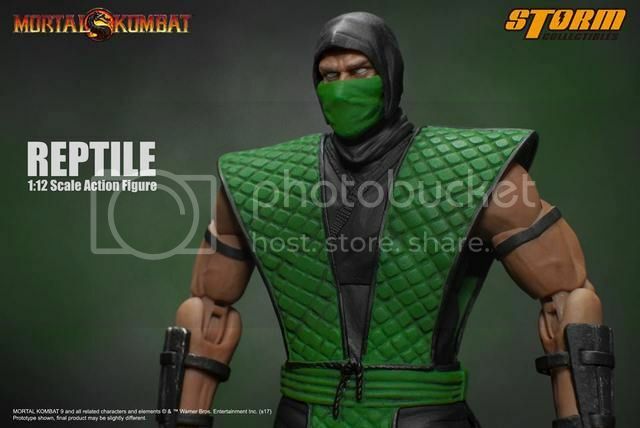 Hopefully, it will be come with some extra accessories to make it more worth it.